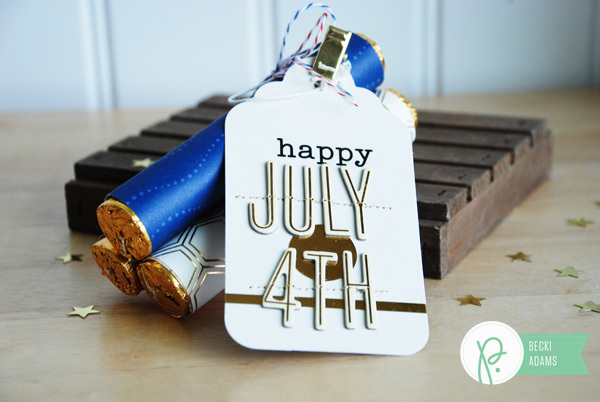 June 2015 - Pebbles, Inc.
Hello everyone! 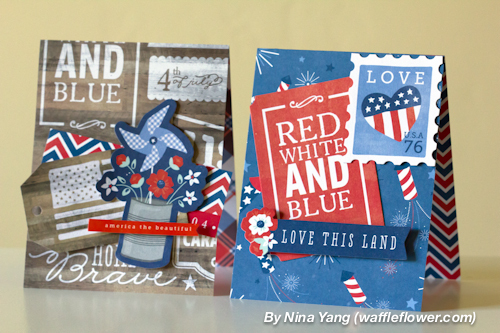 Amanda here today with a super festive red, white and blue project. I had been itching to try the WRMK pinwheel punch board for a while now and I am so glad that I finally did. 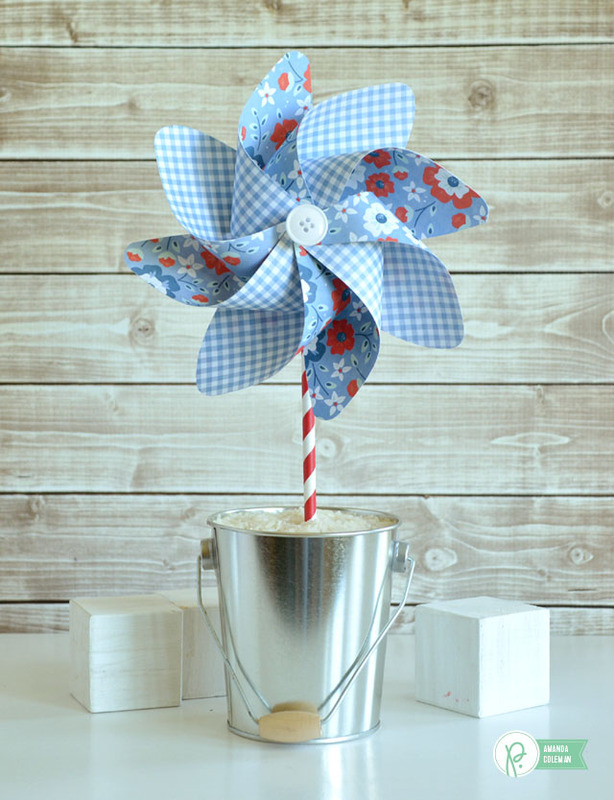 It was so easy and the pinwheels are so fun! You know what makes them even more fun? 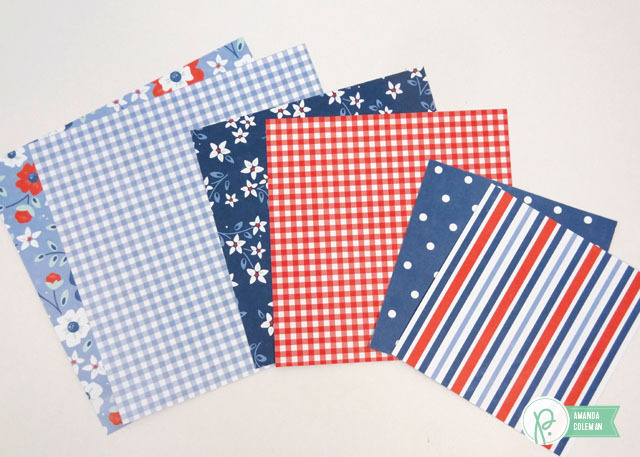 Making them with red, white, and blue patterned paper from Pebbles’ Americana collection. Not long after I finished photographing these pinwheels, my 8 year-old daughter was off and running with them, making them spin all over the place. The spinning mechanism is super smooth and it requires little effort to get them to spin, making them super fun for little ones. 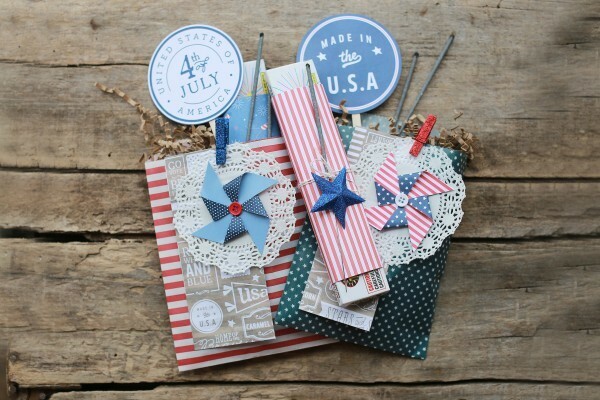 They would be fun to bring along to a Fourth of July parade or picnic, or to make a festive holiday centerpiece. I was having so much making the pinwheels spin that I started to get light-headed. Whoa! 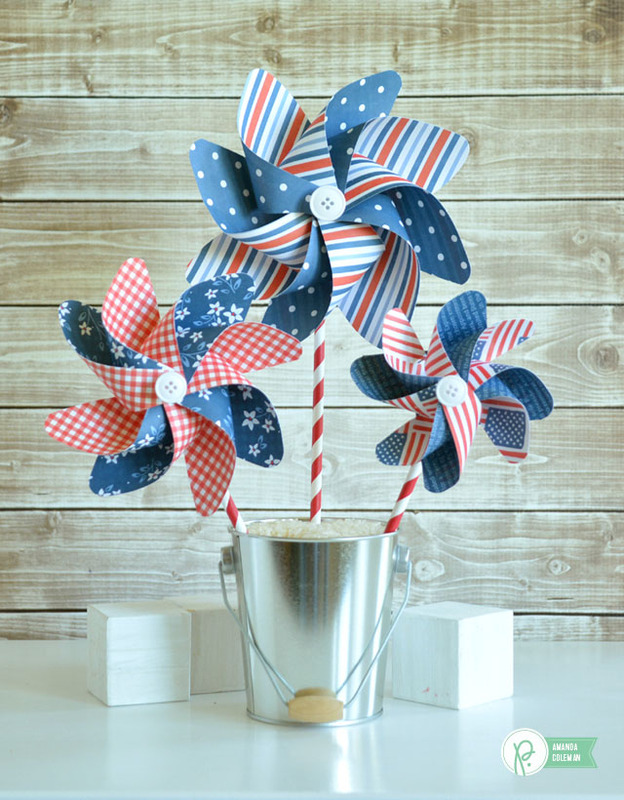 These pinwheels made me feel like I was a kid again. 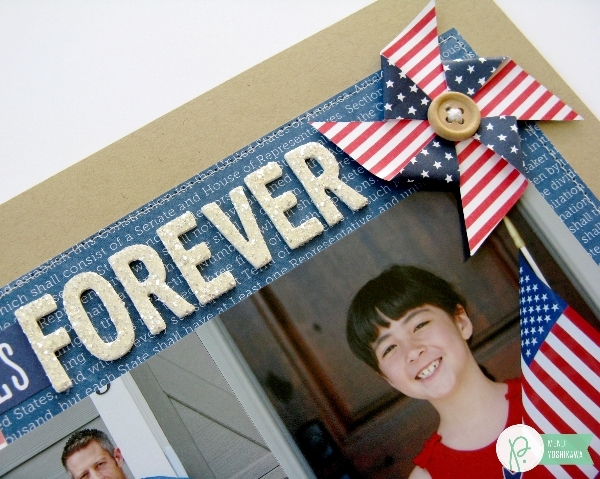 Go ahead and make one for everyone at your Fourth of July barbecue. So. Much. Fun. 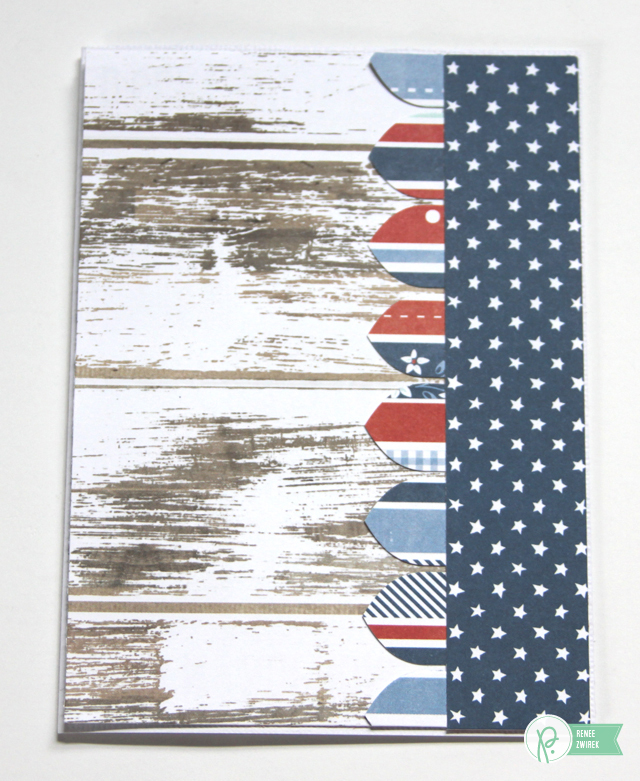 The Americana collection has the best red, white and blue double sided papers. Rather than mix and match too many patterns, I picked patterned papers that had coordinating prints on either side. 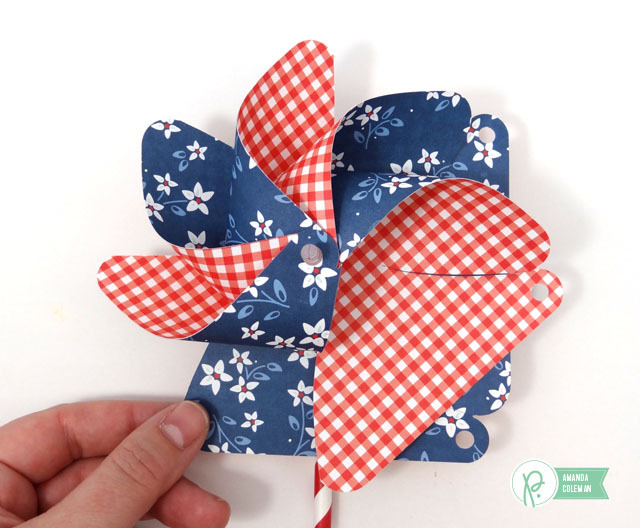 Use the same double-sided patterned paper on an individual pinwheel to create a more cohesive look. The plastic pinwheel attachments are super easy to put together. 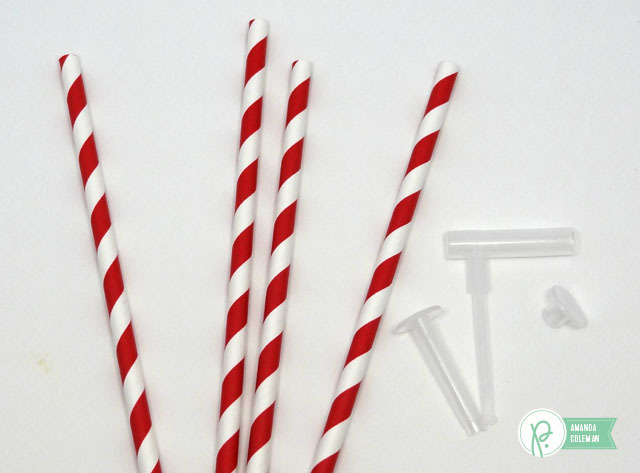 They consist of three separate parts and fit on the top of any paper straw. 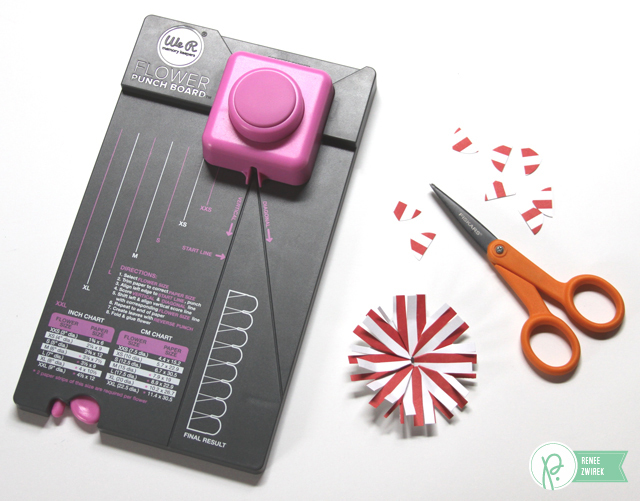 The WRMK Pinwheel punch board comes with instructions on how to make a single or double pinwheel. Just remember that the A piece goes on top of the B piece. I unknowingly tried it the other way around and just about pulled my hair out. 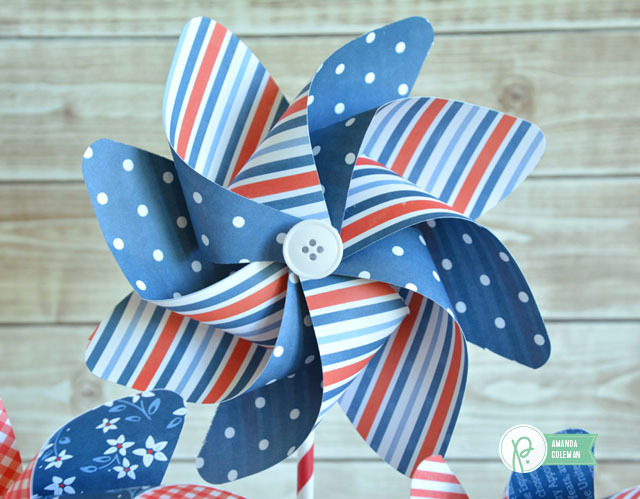 I also found that it was easiest to assemble 4″, 5″ and 6″ pinwheels on the pinwheel attachments. 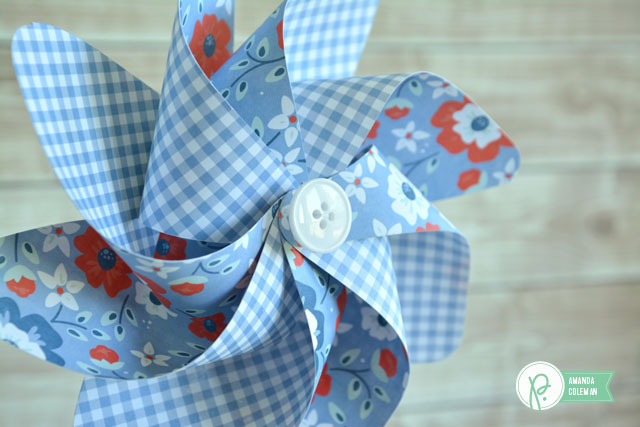 Finish off each pinwheel by adhering a button, or other cute embellishment, to the center of each pinwheel. 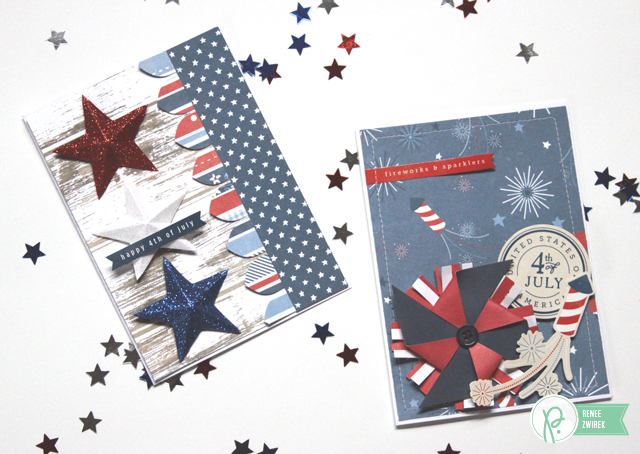 Hello, Renee here to share a couple of Fourth of July cards using the Americana collection and the We R Memory Keepers Flower Punch Board. Both of these cards measure 4″ x 5½”. 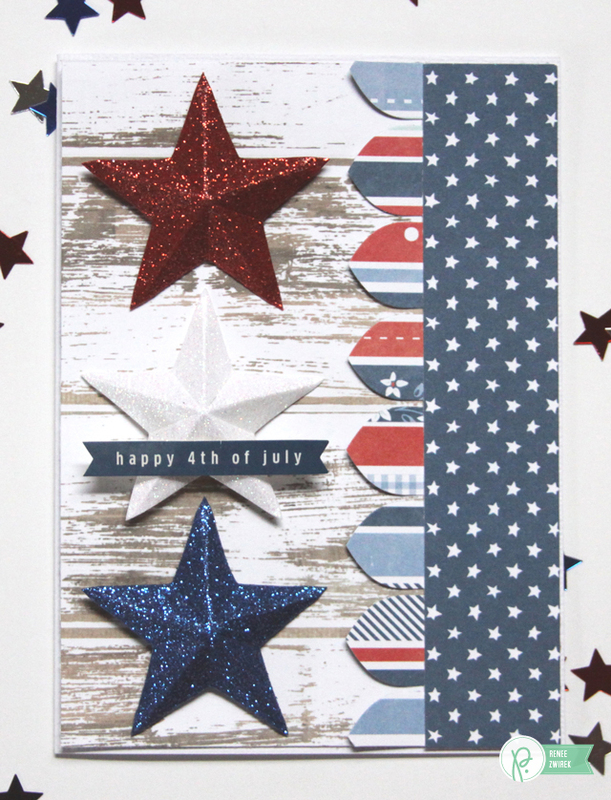 I used the Flower Punch Board for these cards without using flowers. 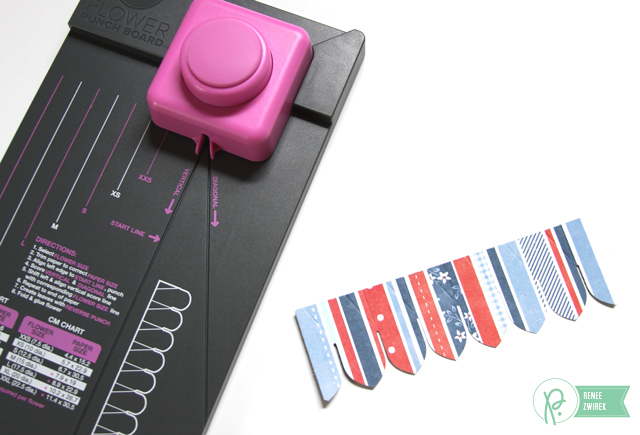 Using the We R Memory Keepers Flower Punch Board and Bright Stars pattern paper, I made an XS flower measuring 1¾” x 6″. Instead of folding it into a flower, I added it to my card to create an interesting border. 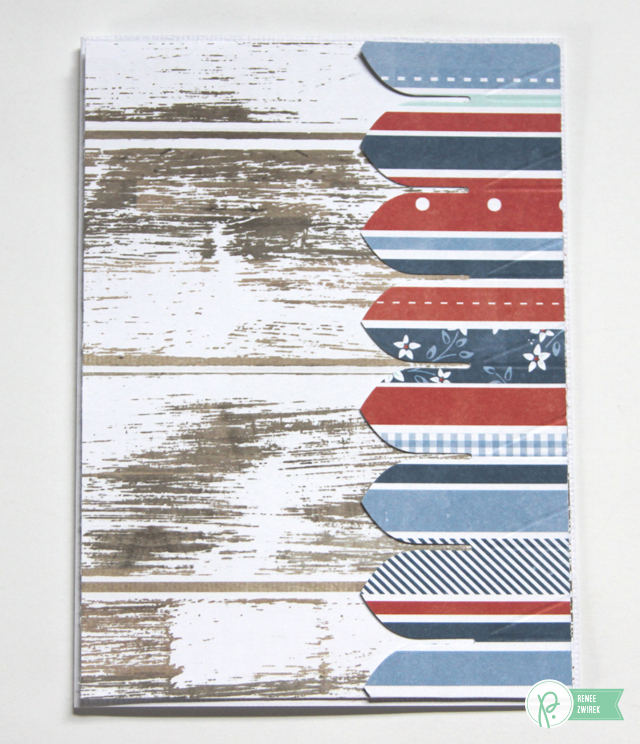 I added a 1″ x 5 3/8″ strip of the Bright Stars pattern paper over the border. Next, I added a few dimensional stars. 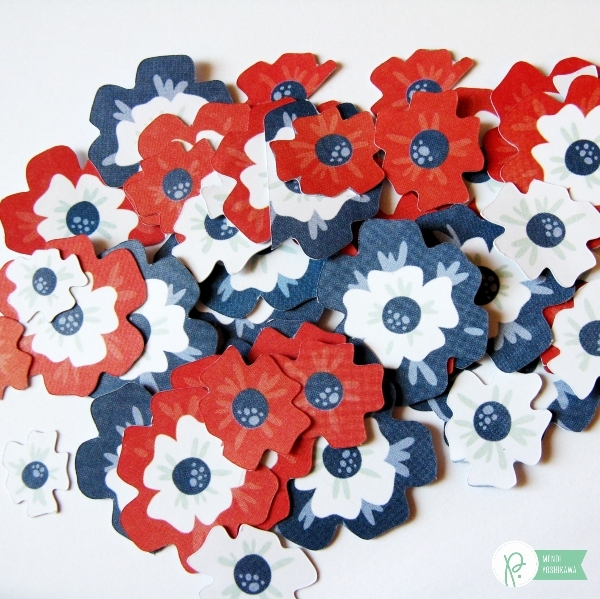 Using the Flower Punch Board again and Broad Stripes pattern paper, I made an XS flower (1¾” x 6″) and cut the tips off. 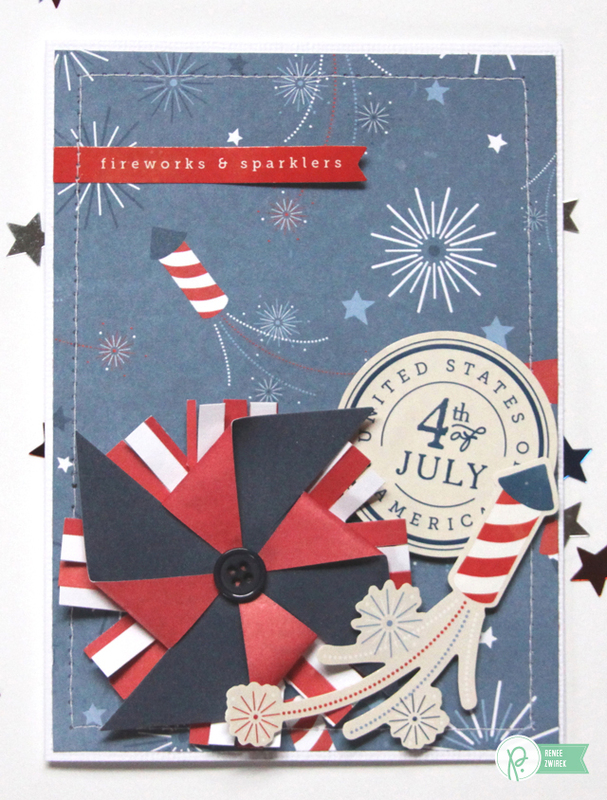 Then, I cut along the stripes on each petal to the center to make the flower look like a firecracker. I layered a dimensional pinwheel on top of the flower and added stickers. Today we’re presenting our very first edition of Pebbles Rewind where we highlight a mix of our favorite past projects all revolving around a particular theme. 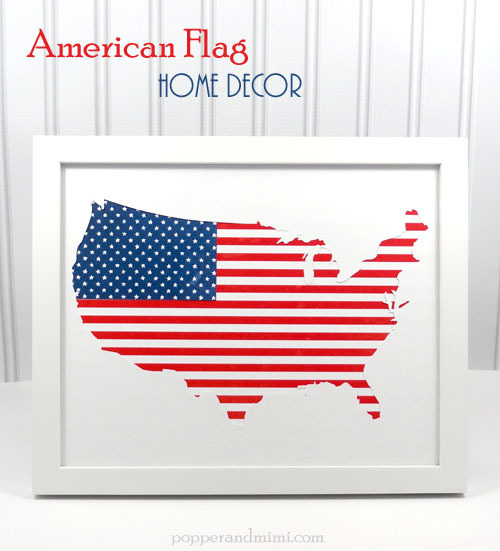 And today’s theme is of course the coming holiday, Independence Day. The Fourth of July is a great time to thank, honor and reverence all those who selflessly serve and sacrifice every day for our freedom. 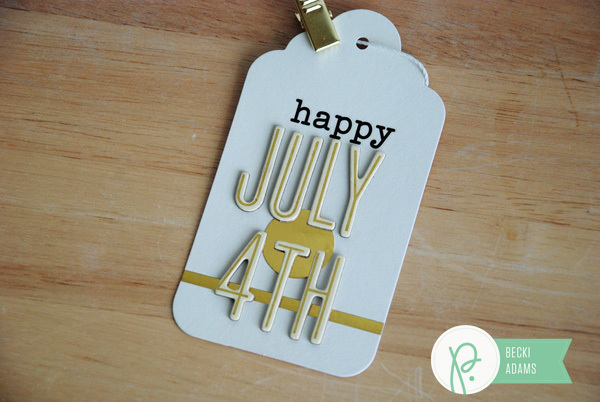 It’s also a fun time to be with family and friends and enjoy the beauty of our nation and all that we have accomplished since our very first Independence Day. 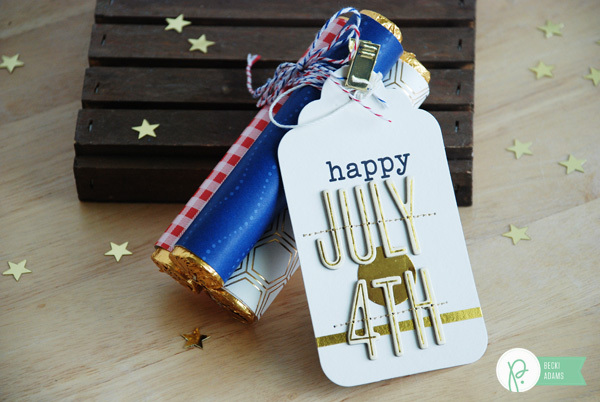 However you choose to celebrate the day, we’ve collected a great group of projects to inspire you and help you prep for whatever events you’ll be enjoying. Have fun checking out these great projects and share your own with us by posting the links in the comments below! 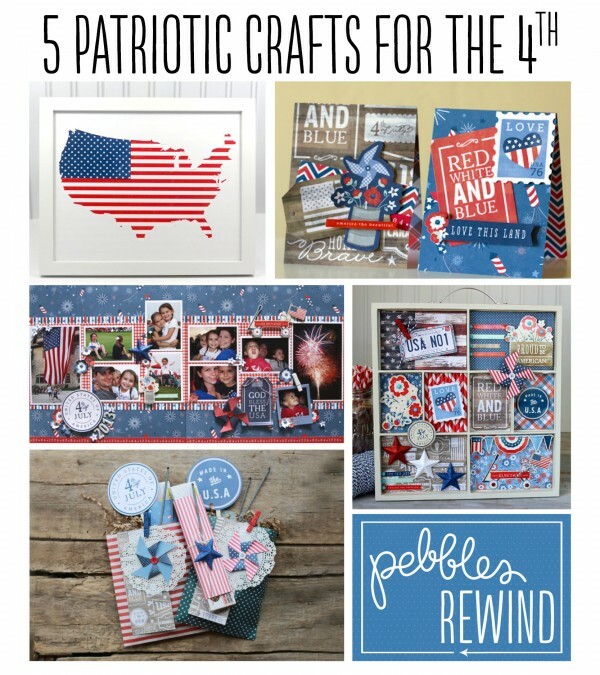 Hi friends, Becki here, with a quick 4th of July Gift idea. 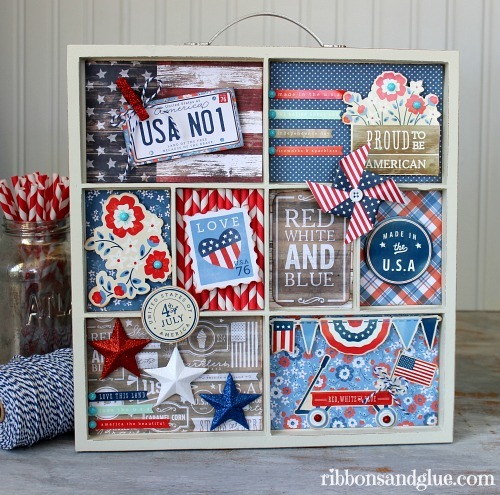 This would be a great hostess gift for a 4th of July picnic or bbq. It took me about 15 minutes to put this gift together. 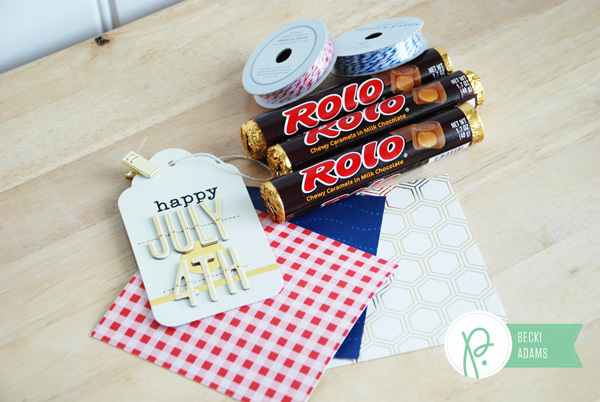 I gathered supplies from several Pebbles collections and some chocolate Rolo candies. I started by measuring the dark brown portion of the Rolos wrapper (I wanted to leave the gold foiled ends uncovered). I used a tag from the Cottage Living collection as the base. 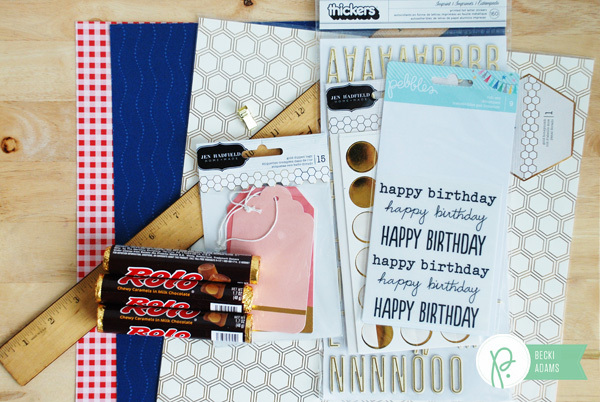 I added some Thickers (Cottage Living collection), a rub on (Birthday Wishes collection), and a gold dot sticker (Cottage Living collection). I finished the tag by stitching the Thickers into place with some gold thread. 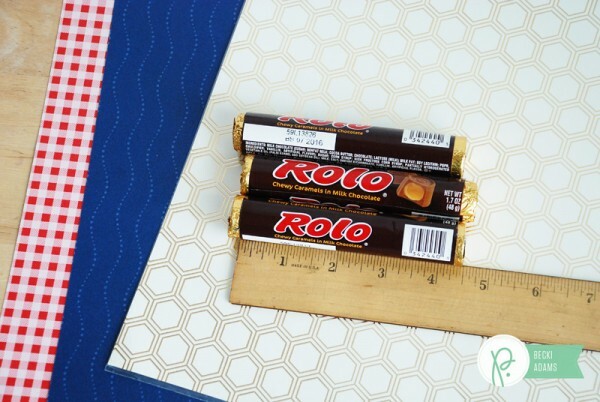 The last thing I did was wrap each roll of Rolo’s individually and then stack them together. The finishing touch was wrapping all three rolls with some bakers twine. Easy and quick! Now if I can just keep them away from my kids until the 4th of July. Hello there! 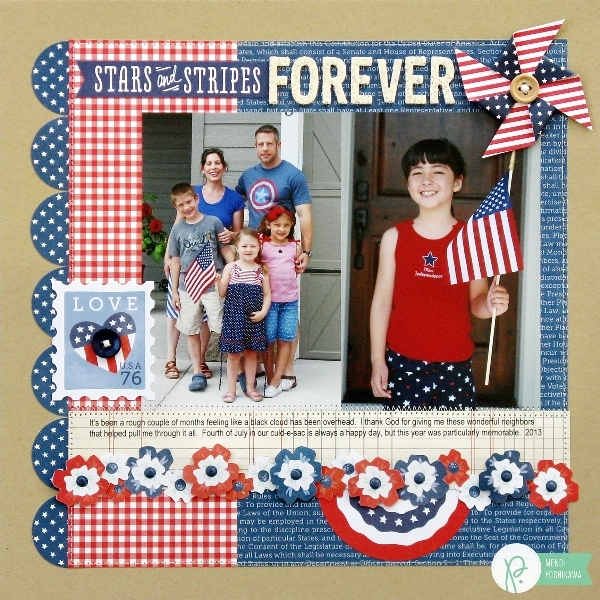 It’s Mendi here today with a patriotic layout using Pebbles beautiful Americana collection. This has to be one of my all time favorite collections of Pebbles. 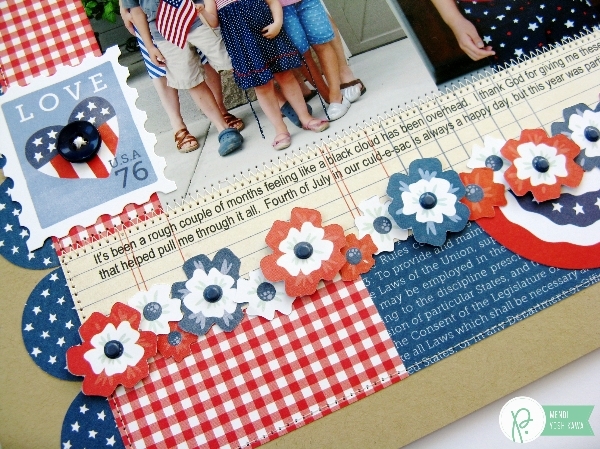 I just love the color palette and all of the great patterns and embellishments! 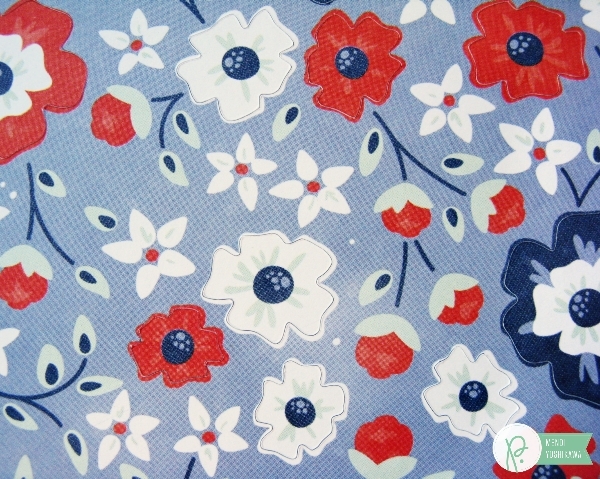 I thought it would be really fun to take one of the flower print patterned papers from the collection and cut them out to form a floral border on my page. 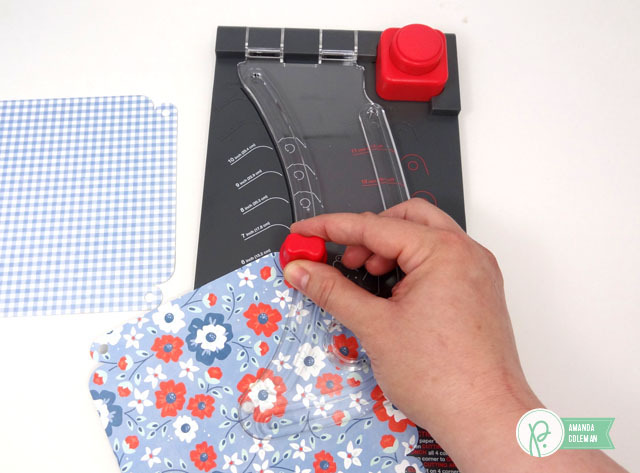 To hand cut all the flowers would take quite a bit of time and patience so I chose to pull out my Silhouette PixScan mat which allows you to take a photo of what you want to cut out and then find the outline of the printed shapes. I decided it might be easier to explain my process with a video for this particular tutorial which is also available to watch at YouTube. I won’t go into all the details here, but I will say that I started by clicking on the PixScan Icon within the newest Silhouette software (third icon from the top right) and then I clicked on the “import from file” button on the far right. From there I clicked on “Camera Calibration” and loaded “Show Test Calibration Card” which I printed out using a standard printer. This test is made up of a series of small dots. I then took a photo of the test paper with my camera, trying to physically crop in as close as possible with my lens. It also helps for this photo to be as bright as possible so I decided to then edit it for brightness and contrast (making sure not to play with the sizing). I then cut down my floral patterned paper to 12″ x 6″ and adhered it to the top right-hand corner of my mat. From there I took another photo of my entire mat with the paper, making sure all the registration marks were showing in my photo. You can then edit your photo for brightness if you wish, but it is very important to not play with the dimensions because the two photos must be identical in that respect or it will not properly load your photo of the patterned paper. The last step in this sequence is to “import PixScan Image from File” (or scanner). 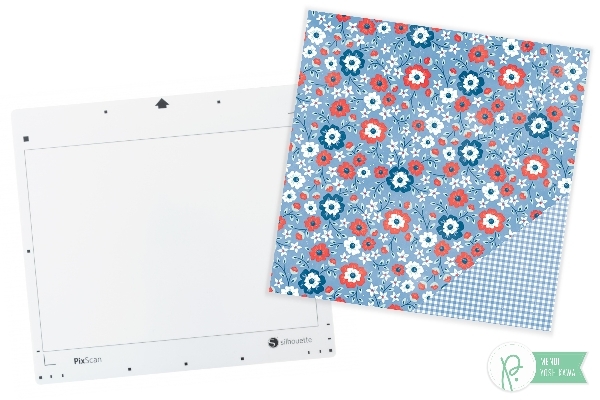 From there you can use the trace features to find the outlines of your patterned paper that is now on the screen within the Silhouette software. By using the PixScan photo it already knows to look for the registration marks when you go to cut. One last thing that I struggled with at first is it is extremely important to use the loading mark on your machine by placing your mat just to the right of that guideline. If you fail to do this (like I did for several tries) it won’t be able to find the registration marks to proceed with the cuts. 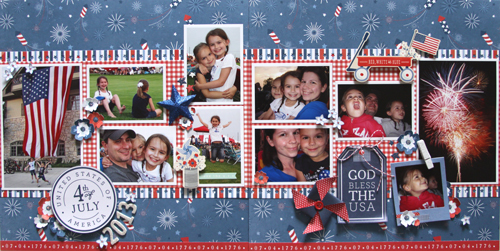 Here is a peek at what my paper looked like after cutting out. Pretty wonderful, right?